Every perfect shot comes with a price tag, and if you are proficient to grab one on your camera, then the world is yours. Photographers are considered to be the luckiest as they are getting paid for what they love. But to reach the finest spot needs excellent skills and the right strategy. Give your artistic pursuit its worth by selecting the right business. There are unlimited stock websites available around the web that will help you in earning good amount of money every month. If you have high-quality photographs, then sell them here on these panels. The process involves registration to the particular stock photography sitesand submitting the pictures. The pictures will be first examined and evaluated as per certain norms and then will be uploaded on the platform. Every time the photos get downloaded your bank account will get credited. So, it is a big deal with hardly any investment behind plus is a regular source of income too. Don’t miss out the terms and conditions prior registering. Now, one cannot ignore the immense popularity the YouTube world is having right now. Get your perfect shot and upload it on YouTube or you can get it done using a website platform. For this, you need to start your YouTube channel that is free of cost. And if you are starting a website, then it would require a bit of investment but will give you good payback with fame. The craze of getting every moment clicked is right on the top and being a photographer one should not miss the chance. Nowadays people are much more into wedding photography, pre-post pregnancy shoots, birthday shoots, pre-wedding shoots and the list has no end to it. Here you can make an impression on your client with your skill and quote accordingly too. Every photograph comes with a price and if it has captured something amazing or illusionary then for sure the high rated magazines and business houses will stand in line for the bid. 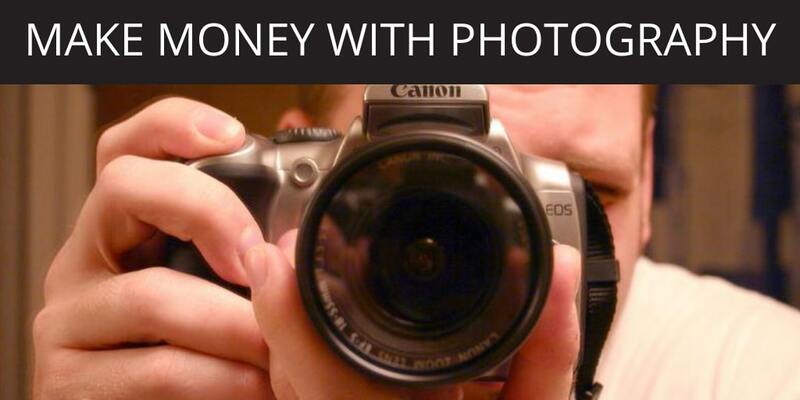 You can sell your photos to them or the reseller. Here you can get it to touch with the business houses and join them as a freelancer concerning your niche. Participate in the photo contest and endeavour to win with the best shot. It will open your ways with a new platform, and you will be engulfed with countless opportunities too. Out of your surprise, the top travel channels and event houses will reach your doorsteps with exciting offers. Plus, there will be many kinds of prizes that the winner will get like cash, equipments, contracts, goodies and a lot more. Prepare yourself and jot down the list of photo contest coming soon. Photography has now become a pool of business. The ones who are gifted with talent and is all geared up to do all the hard work in this field is undoubtedly going to blessed with good income opportunities. Get your camera on board and start cultivating on your skills.